"But there are politics, bad timing and subjective judges and sometimes things simply don’t go in our favor. It’s not a reflection of us..."
Carmella Van Vleet, Grace in the Face of Disappointment, MiGWriters, Monday August 13, 2012. It's so important to remember that in the writing business, there are a lot of things beyond your control. If you haven't yet gotten where you want to be, it's not necessarily because you've written a bad story or a bad query letter or because you're a terrible writer. It might just be bad timing. So what I can I do to not get dragged down by disappointment? I can't just have faith that someone will "discover" my talent. I'm going to do everything in my power to reach my goals. I'm going to keep writing new stories and sending them out on submission. I'm going to keep reading good books and learning from other writers. And I'm going to keep learning about how to be a better writer and how to promote myself and my writing in this crazy changing business. If you're looking for a good writing-related podcast, I recommend checking out Joanna Penn's interview with Lisa Cron, author of Wired for Story, over at the The Creative Penn. Lisa is so enthusiastic and passionate about her views, it's inspiring! I love thinking about how our brains interpret the world in terms of story. It puts a picture in my mind of how my kindergarten students calm down and are instantly attentive when I pull out a good book and start reading. I've ordered Lisa's book and I'm going to be thinking about how to apply some of her ideas to my writing and to my teaching. I especially liked her thoughts on "show don't tell" and how showing isn't effective if the reader hasn't been shown WHY the character is reacting. For me, that means showing the right events to explain a character's frame of mind and reasons for acting a certain way, not just using actions to show an emotion. It is 1905 and young Suzanna works at her family’s inn in Loch Harbor, New Brunswick, where she is trained to be a well-mannered hostess and a charming lady. Suzanna has other ideas for her future, however—she wants to be a detective like her famous uncle, Bruce Snow from Boston, who regularly makes headlines in the newspapers for solving hard-to-crack cases. This summer seems typical enough for Suzanna until a young guest goes missing on a stormy summer night. When no clues turn up, Bruce Snow arrives to solve the case. But Suzanna learns that not everything is as it seems. With a little help from her friends, can she solve the mystery of the missing girl before her uncle gives up? 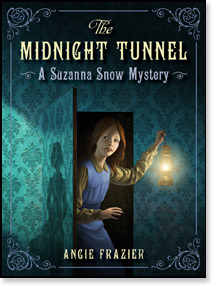 Fast-paced, absorbing, and wonderfully rich, The Midnight Tunnel: A Suzanna Snow Mystery is sure to keep readers following the clues until the case has been solved. It can be hard to find a good middle grade mystery so I was happy to find this one. Even though it takes place in the early 1900’s, I could relate to the main character and girl detective Suzanna Snow. Her determination to solve the mystery kept me reading. The novel moves along at a good pace, and I liked the tension between Suzanna and her friends Lucy and Isaac, and her cousin detective-in-training Will. There are a few quirky hotel guests and lobster fishermen too, and a big change in Suzanna’s thinking about her idol and uncle, a famous detective. I loved the way the setting was so integral to the plot and I could picture myself visiting the dewy field of wildflowers, the secret tunnel to the servant’s house, the musty attic storage room or the land bridge to the island that is only exposed during low tide. As a writer, I’d look to this novel to remind me how to bring the setting alive for my readers. Angie Frazier lives in New Hampshire. The Midnight Mystery was inspired by a visit to the historic Fairmount Algonquin Hotel in St. Andrews-by-the-Sea, New Brunswick, Canada. Angie Frazier gives a honest perspective on self-promotion in The Importance of Making Hope Happen over at Adventures in YA & Children’s Publishing, December 14, 2011. For more, visit Angie Frazier’s website. 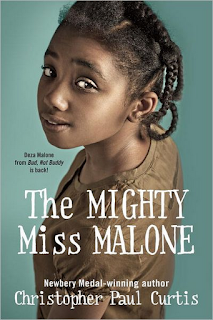 Marvelous Middle Grade Monday was dreamed up by the amazing Shannon Messenger. Visit her blog for an up-to-date list of all the bloggers who are participating and posting about middle grade books today! After Day 2 of WriteOnCon, I feel as though I've learned as much as I would at an in person conference. From Sarah Sargent, Editor: Writing Girl MG is harder than writing boy MG.
From Katie Grimm, Literary Agent: There's a huge difference between elementary school (ages 9-11) and middle school (ages 12-14). And from all the panelists: They see a lot of stories about dogs, baking and kids sent to live with oddball aunts. From Claire Legrand: Make sure middle grade characters aren’t too perceptive or aware of what they’re feeling, because it makes them seem too mature for their age. There's lots more, but the transcripts are all there, so when you have a chance, you should check it out! For my take on Day 1 of WriteOnCon 2012, see Learning From WriteOnCon 2012 - Part 1. I've been hanging out at WriteOnCon and it's amazing! This is the first time I've had a chance to browse the forums and attend live events while the conference is actually running (though one of the great things about WriteOnCon is that all the transcripts remain up so you can visit them anytime). It's great to have a blog because it can be a hub for all your social media. From Meredith Barnes in How to Get Started With Social Media: DON’T Do All The Things! by Publicist Meredith Barnes. Characters are what makes a novel stand out. From Daniel Lazar in Literary Agent Daniel Lazar Talks All Things Publishing. Strong friendships are important in middle grade fiction and it might be a good idea to make it clear that your main character has an ally in your query letter. From Peter Knapp in a Live Pitching Event with Literary Agent Peter Knapp. For more tidbits from WriteOnCon, see Learning from WriteOnCon 2012 - Part 2. Sometimes I find it hard to get into books that take place in the past, but not this one. The main character, Deza, drew me in right from the very beginning. She is a kid that loves learning and writing, so I could easily relate to her. The challenges she faced in the story were heart-breaking – losing a home, moving away from a best friend, family members going missing, having teeth so rotten your own parents can’t stand the smell. It was great that the story ended up with a happy ending, although I thought it wrapped up a little too neatly to be entirely believable. But I loved the whole sense of sticking with your family that is so important in this story. This is a story where the parents are clearly an important part of the main character’s life, even when they aren’t always physically present, though Deza and her brother definitely work to solve their own problems. As a writer, I found so much to admire about this novel, but what I’d study most closely is the voice. It’s strong and consistent, helping to give Deza a well-defined personality right from the start. Christopher Paul Curtis was born and raised in Flint, Michigan and currently lives in Detroit. When he first began writing, he worked for General Motors at an auto assembly plant and hated it. Now he is a full-time writer. Some of his research for the book is based on a collection of letters sent to President Roosevelt during the Great Depression. We find out what he likes and doesn’t like about being a children’s book writer in a Scholastic interview with Christopher Paul Curtis. For more, visit Christopher Paul Curtis’ website. Eleven-year-old Poppy Ray longs to be a veterinarian, but she's never had a pet. This summer, she's going to spend a month with her uncle Sanjay, veterinarian and owner of the Furry Friends Animal Clinic on an island off the Washington coast. Poppy is in for big surprises. She loves tending to the dogs, cats, and even a bird, and she discovers the fun of newborn puppies and the satisfaction of doing a good job. But she learns that there's more to caring for animals than the stethoscope and cotton swabs in her Deluxe Veterinarian First-Aid Kit. She's not prepared for quirky pet owners, gross stuff, or scary emergencies. With help from a boy named Hawk, a chunk of seaglass, and a touch of intuition, Poppy gains a deeper understanding of the pain and joy of working with animals. With warmth and humor, Anjali Banerjee tells the story of a resourceful, determined girl who can't wait to grow up, but begins to realize just how much she has left to discover. When I found out this book was about an 11-year-old girl who was so serious about becoming a veterinarian that she bought her own vet tool kit, I got hooked on this story. I liked the way the author let Poppy experience the real life circumstances of a hanging out in her uncle’s vet office, without making it seem easy or cute. Poppy’s character is complex, with issues related to her cultural background and family, as well as finding out that her dream might not be as easy as she thinks, but it all fit into the story as part of her life in a natural way. Poppy was determined to succeed despite the setbacks and it made for a good story once it got going. 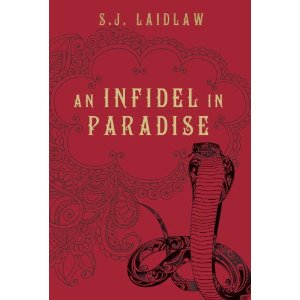 As a writer, I admired the way the author created a realistic and complex main character without being too heavily focused on the clash of cultures. I loved the way Poppy didn’t give up, even when faced with challenges, and that determination in her character kept me reading until the end of the story. While browsing in the library, the title caught my eye. The author’s name sounded familiar and later I realized I’d read one of books for adults. Anjali Banerjee was born in Kolkata, India and grew up in Manitoba and California. She now lives in the Pacific Northwest. She wrote her first story at the age of 7, about an abandoned puppy on a beach in Bengal. She also writes books for adults. Enchanting Lily is due to be released August 7, 2012. Her other adult novels include: Haunting Jasmine, Invisible Lives, and Imaginary Men. In an interview at ParkingLotConfessional, she talks about the difficulties of getting published:"The odds against getting published are daunting, but I still believe that if you have a *passion* for writing and developing your authentic voice, you will find an audience." For more about the author, visit Anjali Banerjee’s website. I'm so excited about Write On Con 2012! In case you don't know, this is an online writing conference for children's writers that takes place on August 14-15. There are opportunities for pitching agents or getting critiques, and getting your questions answered about writing for children. It's crammed with great stuff! If you're like me and you never seem to be able to get to an in person writing conference, you might want to check this one out. I learned a lot here last year, even though I was on vacation and couldn't participate in many events. Their transcripts stay up afterward, so you don't have to miss anything. Introduce some memories. If the main character thinks about a time or event when they were with the out of sight character, it can do double-duty. You remind the reader of the character who isn't there, as well as adding in some emotion for the main character. Send a message. When the off-stage character sends a message, it needs to be natural, so this doesn't work if there isn't a good reason for it. But it might also be a way to include a little mystery. Use imagination. Sometimes, if you're really close to another person, you think about what they might think when they're not with you. I can totally see a girl imagining what her friend (or her sister or her mom) might think of a situation. Drop a name in conversation. Not exactly subtle, but if there's a natural way to do it, characters who are in the scene could mention the out-of-sight character. It could be a way to advance the plot while reminding the reader of that other character who will eventually show up again later. Do you have any other ideas for how to remind the reader of characters who aren't front and centre in the action?